After Eights, After Eights, After Eights. This came straight to mind when I had first opened it. It is absolutely divine. I’m not a coffee fan whatsoever, but the strong mint scent had made the coffee linger bearable. I mean, it smells that good, I actually want to eat it (but it’s not recommended). Just imagine After Eight mint chocolate thins with a hint of coffee. Roast Organic Coffee – Nature’s finest exfoliator. It’ll buff away dead skins cells without damaging the delicate new skin underneath. A high caffeine content in our fresh grinds stimulates circulation, to promote healing in problem areas. Peppermint Oil – Naturally anti-bacterial, anti-inflammatory and pore cleansing leads you to a clearer complexion and minty freshness. Tea Tree Oil – It’s antiseptic properties make it great for healing and softening, plus it helps soothe tired muscles. Dead Sea Salt – Full of minerals, magnesium and potassium, it’s the best salt to scrub and rub on your skin to stimulate and relax deep into the tissue. Argan Oil – High in fatty acids and vitamin E, it’s easily absorbed into your skin to moisturize and combat dark spots – leaving your soft and glowing! Aloe Vera – Famous world round for it’s anti-septic cooling and healing properties. It’s also packed with vitamins A, B, C & E and Beta Carotene which give it anti-aging properties as it nourishes your skin. I was so excited to see this product containing tea tree oil. Anything that contains this is an instant winner for me since it helps with spots and many more. 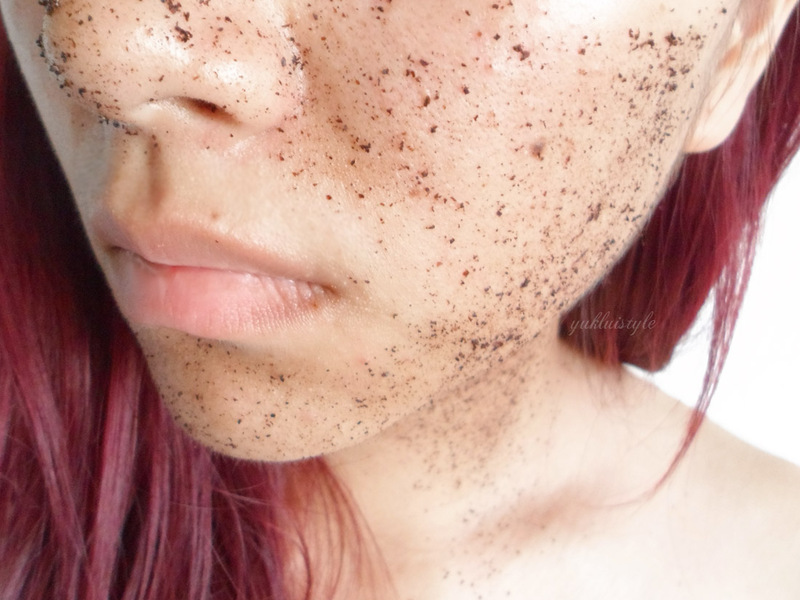 Don’t expect a coffee scrub to be a clean application. It is messy, but it’s a part of the fun right? Whilst gently rubbing onto my skin, there is a cool, refreshing feeling from the mint. There’s no need to wet the skin beforehand due to the oily texture, it had helped the coffee to adhere to my skin easily. Once I’ve applied this to the areas, I would leave the scrub on for five minutes or slightly longer. During that time, I like to cleanse my face and apply a clay mask, and maybe do a little dance too! The water does run brown when you rinse it off but it doesn’t stain the shower. Now the aftermath. Smooth, soft, moisturised skin even without applying body lotion. Now that I’m back in the UK and not in Asia, my skin gets dry easily, especially around the knee and elbow areas and they are smooth. I even got my colleague to feel my elbow! I also found it had help soothe any random irritation bumps I get on my legs here and there. This can also help target acne, stretch marks and cellulite. I don’t fake tan but this would be a great product to use before tanning. I use this once or twice a week. How cute is the packaging? They are based in the UK but they do ship worldwide too. You can get this particular flavour for £12.95 here. Do check out Original Lovin’ and the Coconut Affair whilst you’re at it too. Have you tried this coffee scrub? We have this in the bathroom and it smells just incredible! 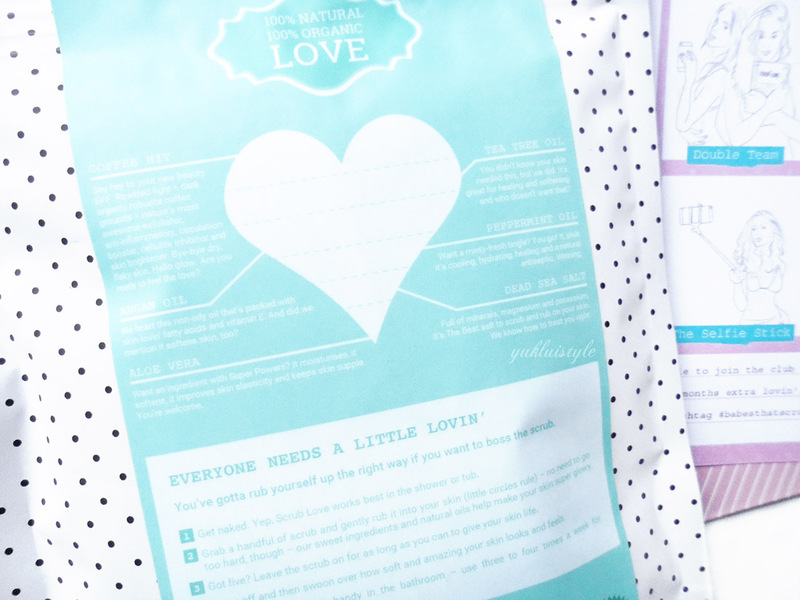 I love coffee scrubs, I have tried a couple of different ones and loved them. Will have to keep my peepers open for this one. I must get round to trying a coffee scrub. Love anything with mint! I've read a lot about coffee scrubs lately but can't bear to think of the mess they would make in my bathroom! I really want to try one of these masks, I hear so much about them! I love the sound of coffee scrubs and keep meaning to try one! This sounded like a really nice scrub. I like the ingredients and it's great that it left you moisturized. Unfortunately I am allergic to tea tree so I can't try it but it does sound like an excellent scrub and coffee is very good for your skin. I tried a coffee massage and I love the scrub I had. Aside from the undeniably addictive smell, it indeed made my skin soft and rejuvenated. I have to check this brand. What a super sounding product! I wonder if I could make my own with the coffee grounds I currently throw away…. I have seen a few people post about different scrubs, but I haven't tried one yet. My goodness these scrubs really are getting around I keep seeing them on social media and they sound great. I've seen a lot of coffee scrubs around recently. I need to try one. I've been wanting to try out one of these types of scrubs for ages! I have only used a scrub once as I didn't like the texture. Think I'd love the smell of this though. I'm so bad, I've not yet tried a coffee scrub but everyone loves them so it won't be long! I need a new scrub… This looks ace! I can't imagine what it smells like… But sounds like I would love it.